Why is it so important that we worship together? Does it matter to God what we do when we worship? What happens when believers worship? Even in this frenetic, media-saturated age, God calls his people to worship. This study can help your students become thoughtful, active participants in the worshiping community. You will draw their attention to God our Redeemer and the Christ-centered nature of worship. 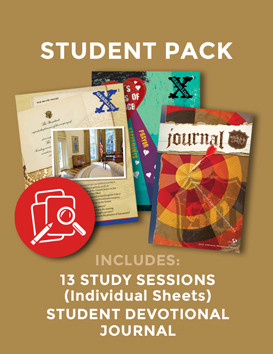 Instead of asking “What do I get out of worship?” challenge your teens to ask “What can I give God in worship?” 2- and 5-week studies (13 sessions in all). Sample lesson and more info at www.sowhatstudies.org. 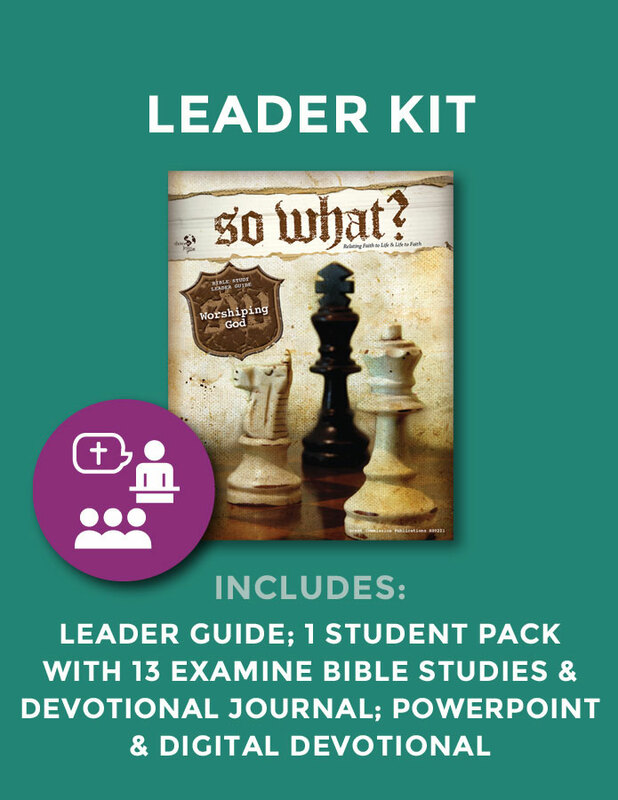 Includes Leader Guide (100+ pages with teaching outline, discussion questions, and study notes), 1 set of Examine Student Bible Studies (13 study sessions), Student Devotional Journal (32 pages), and bonus digital download of PowerPoint for all 13 sessions and Digital Devotional.